I explore empathy and memorialisation by creating environments the viewer can experience. My work is inspired by my own life experiences living with long-term illness. My illness has forced me to spend long periods in hospital and home isolation, it is these experiences that most influence my work. 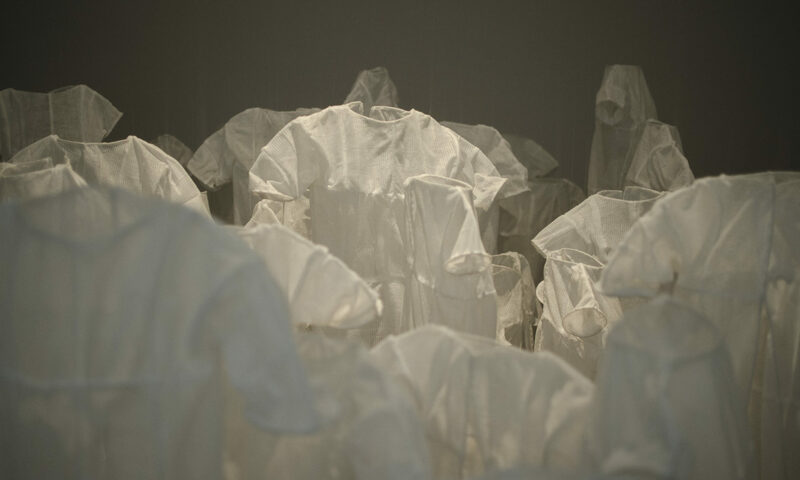 I use various medium including textiles, drawing, video to create installations. My work is very conceptually driven. Each process and action within the process is very considered. The materials I use are relevant to each concept I am exploring at the time. Human conditions such as empathy, isolation, trauma, loss, memory are recurrent themes within my practice.